In addition to all of the other machining and fabrication services offered at Barnes Manufacturing Services, we also provide in-house keyway broaching and boring services. Broaching is typically the last step in machining a part, so being able to complete that step right here, where the rest of the part is designed, prototyped and produced can save a lot of time. Our crew works collaboratively to ensure that every step of your machining project is done on time with the utmost attention to detail. We do offer broaching and boring as stand-alone services for clients, or machine shops that do not have the equipment. 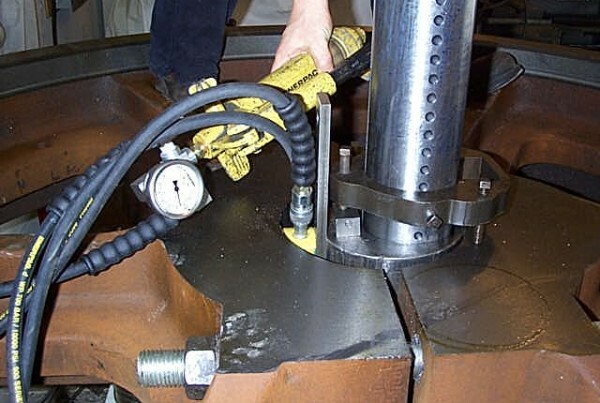 Our equipment can handle broaching for a slot up to 3”x 24” wide through the bore, and there is no limit to the outside diameter of the part to be broached. We handle almost any machining or fabrication project. With all of our product design, CNC machining, fabrication, assembly and finishing services on the same property, your manufacturing project can be completed faster and more cost effectively. You will save on shipping time and costs. Email Barnes Manufacturing Services to inquire about broaching and boring services or other product design manufacturing projects.